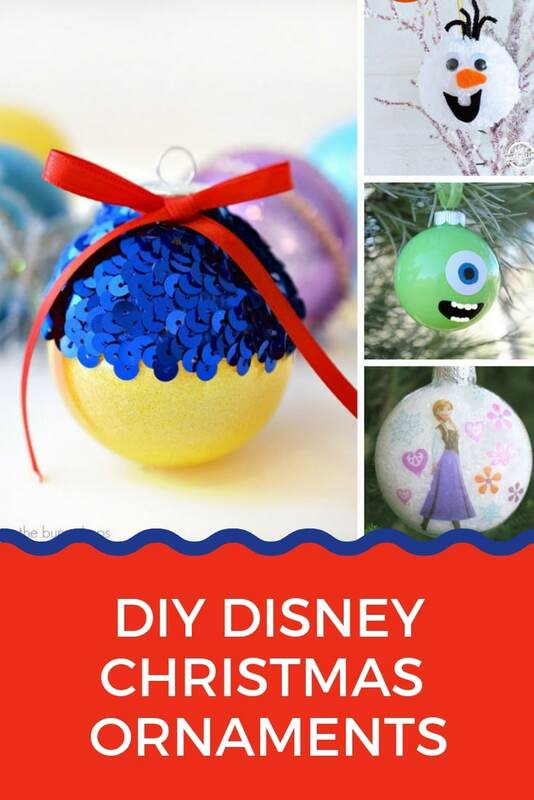 If someone in your family is a big fan of Mickey Mouse or a particular Disney Princess then you are going to LOVE these Homemade Disney Christmas Ornaments. We are HUGE Disney fans in our family and now my daughter is old enough to really appreciate Christmas she’s desperate to have a whole tree full of Disney ornaments! Since she loves to craft too I thought I’d combine her passions and look for some homemade Disney Christmas ornaments we could make together. 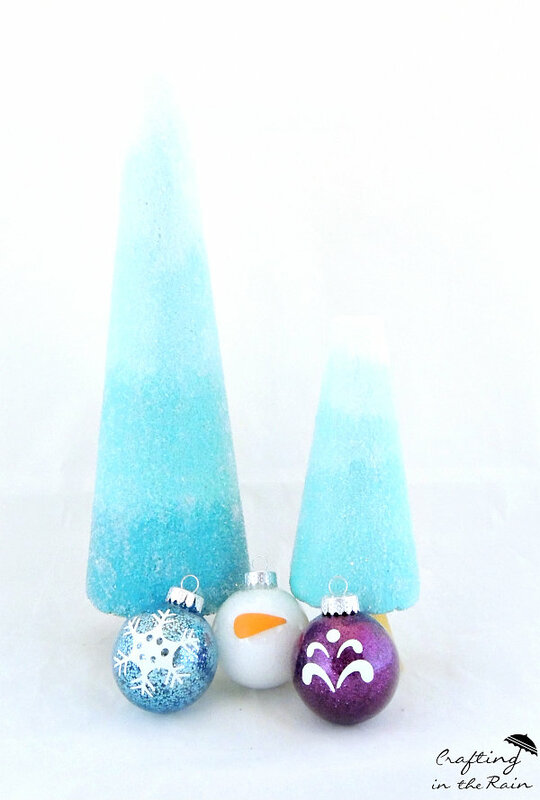 I found so many fabulous ideas with everything from Mickey to Princess Elsa ornaments and they are so easy to make. So gather the family around and make an afternoon of it! 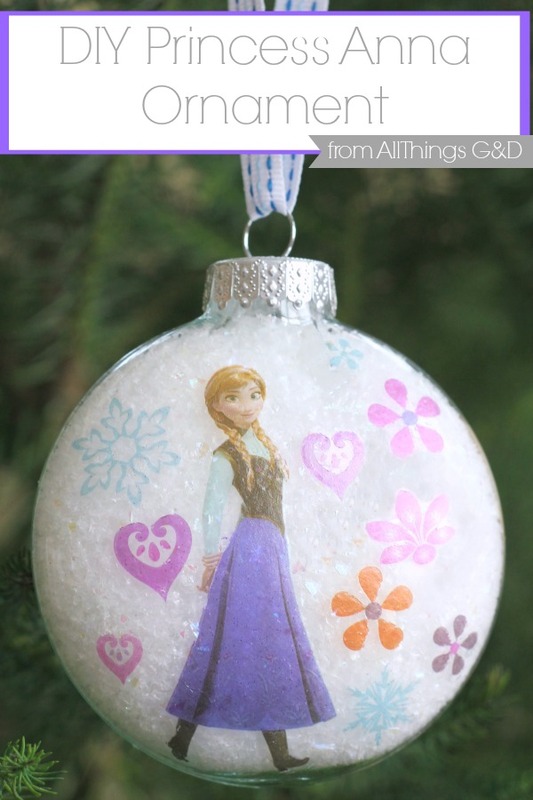 DIY Disney Princess Ornaments – As homemade ornaments go they don’t get much easier to make than these. You just need some plastic princesses and a packet of screw hooks! 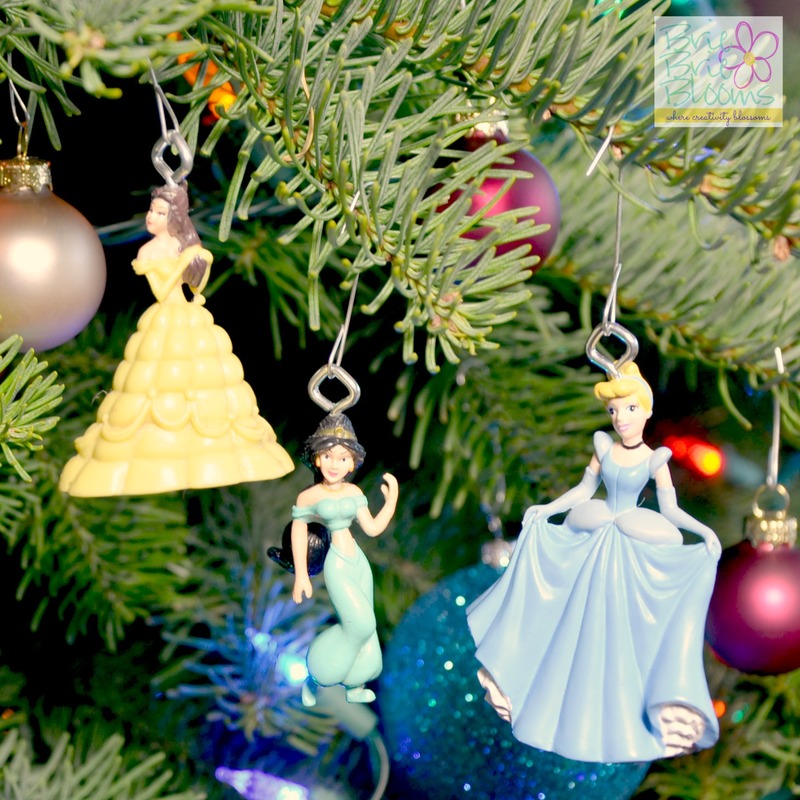 Disney Princess-Inspired Christmas Ornaments – These Disney Princess inspired ornaments are top of our DIY list this year. 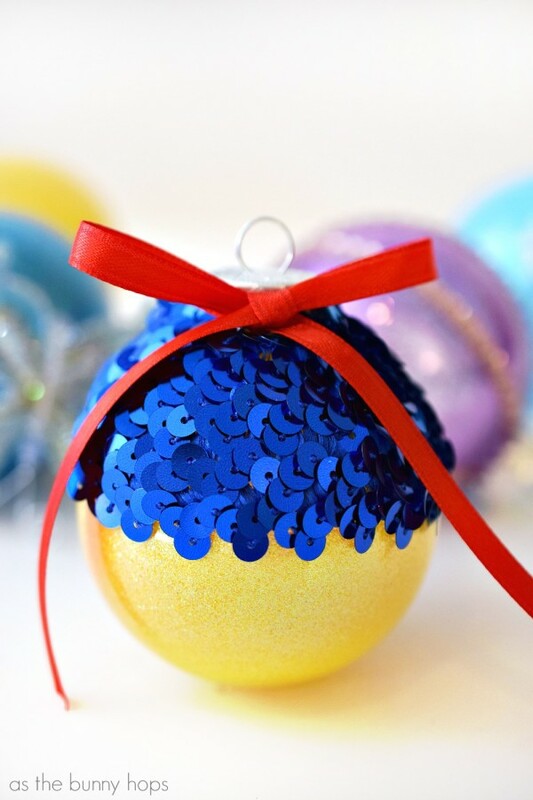 Who knew you could make something so gorgeous using these simple plastic ornaments and some Pledge! And it’s a kid friendly craft too as there is no hot glue gun required. Easy DIY Frozen Ornaments – Once you’ve mastered your Princess inspired ornaments you can create a set of Frozen decorations too! 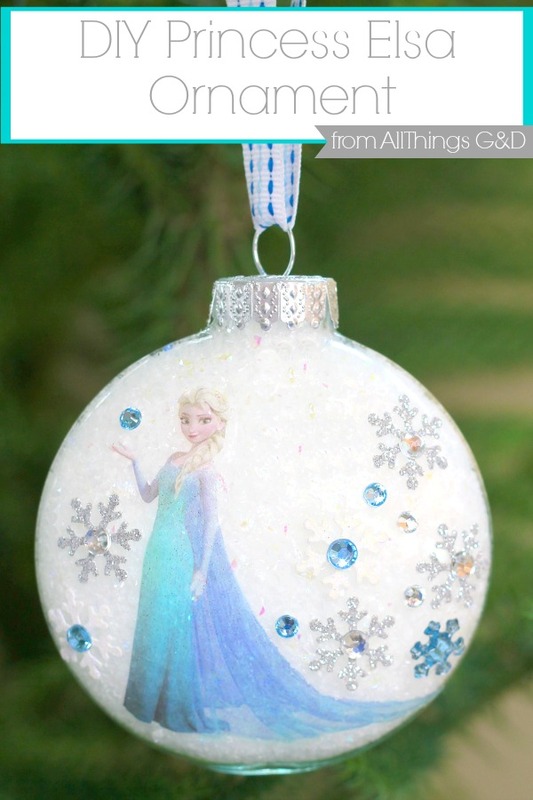 DIY Frozen Christmas Ornament – If your little girl LOVES Frozen then you have to have an Elsa ornament on your tree, and this one is just so simple to make using a fillable plastic bauble! 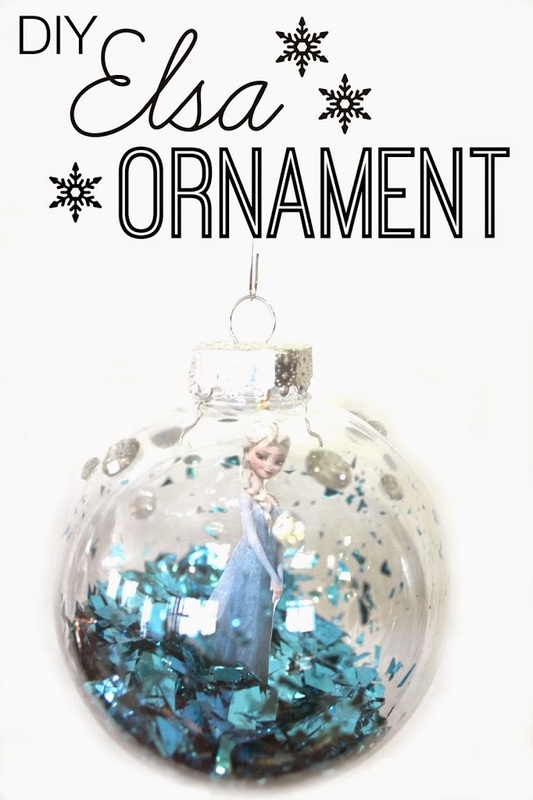 DIY Princess Elsa Ornament – And for something similar but a little bit different this Princess Elsa ornament has the princess on the outside of the bauble. 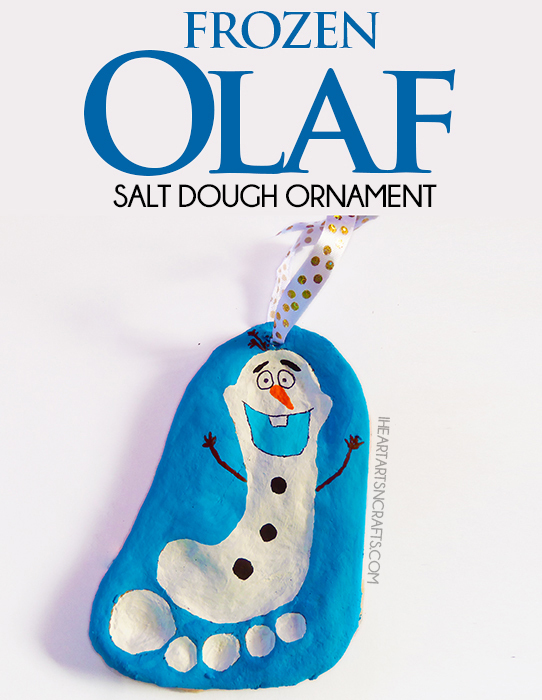 Frozen Olaf Salt Dough Christmas Ornament – What a FABULOUS way of capturing in time just how small your child was when Frozen was their absolute favourite movie… by turning their footprint into an Olaf ornament! 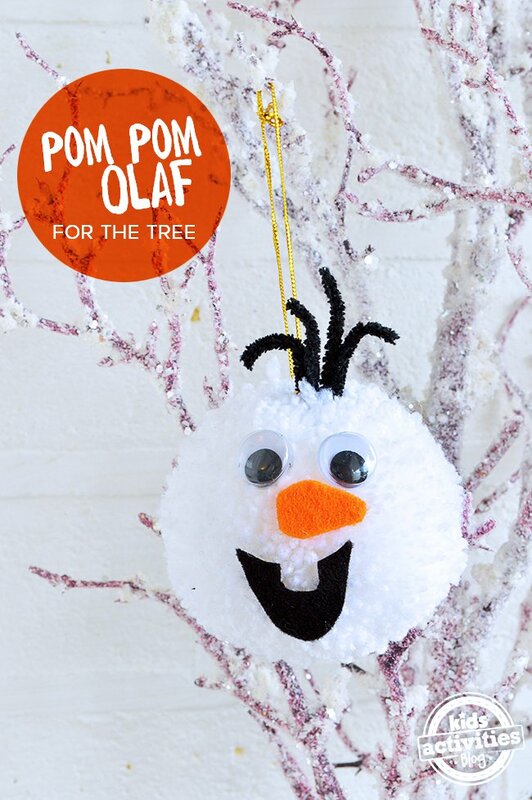 Olaf Frozen Pom Poms – Oh and isn’t this just THE cutest homemade Christmas ornament you have ever seen? It comes with a little warning though, these pompom makers are a little addictive! 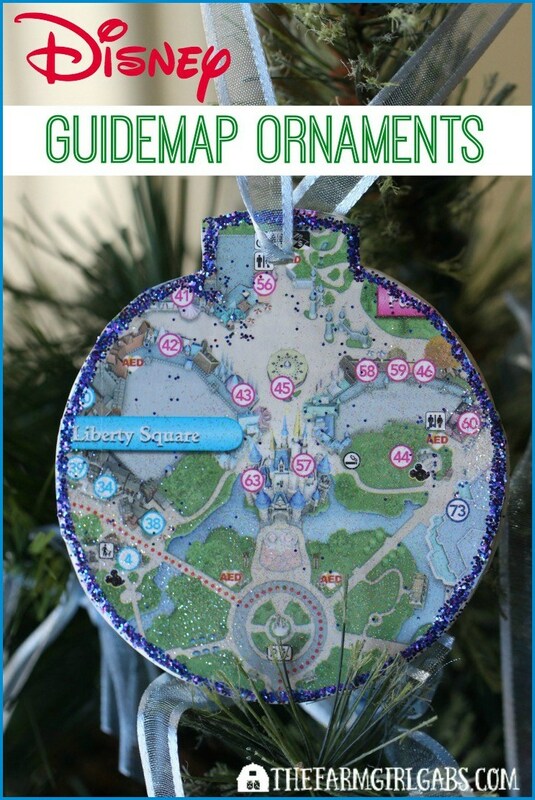 Disney Guidemap Ornaments – We have a whole box full of Disney World guidemaps from our visits over the year and I can’t believe we never thought to do this before! 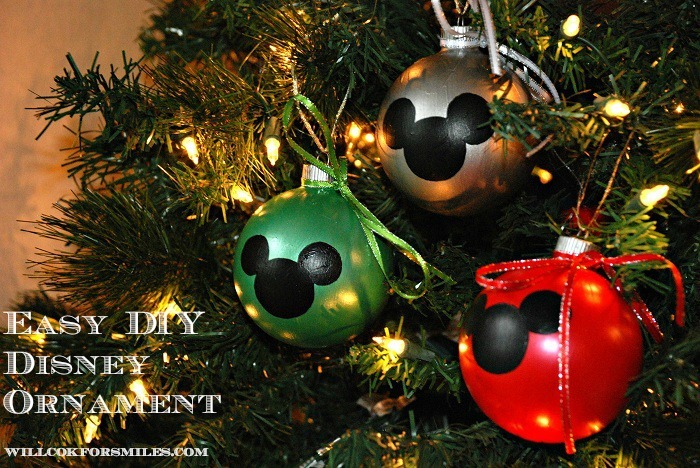 Easy DIY Disney Ornaments – These DIY Mickey ornaments are super easy to make and you can match them to your existing colour scheme. 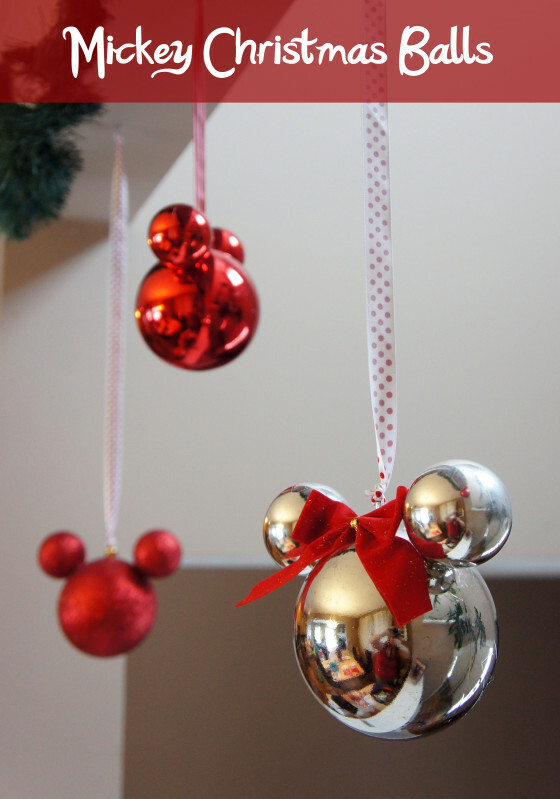 Mickey Christmas Baubles – If you want to add a touch of Disney to your Christmas tree while still maintaining an elegant or traditional feel you need to make some of these WONDERFUL Mickey Christmas baubles! 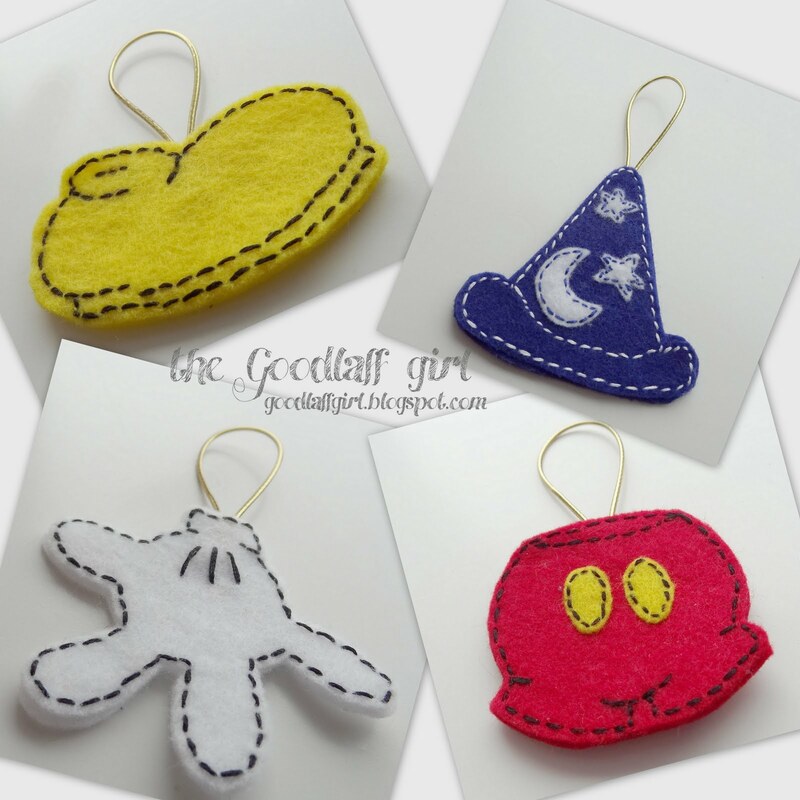 Decorating with Disney – Hand sewing is a great way for kids to practice fine motor skills and hand eye co-ordination so this is a fabulous craft to do with your child. And at the end of it you’ll have some SUPER CUTE ornaments to hang on the tree! 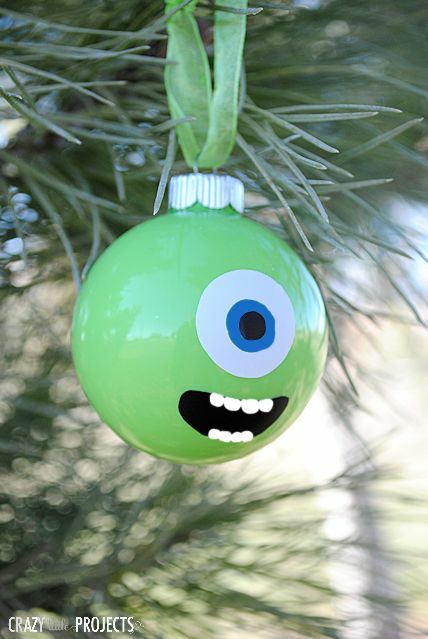 Monsters Inc Christmas Ornament – Here’s a homemade Disney Christmas ornament craft for the boys… making a super cute Mike Wazowski from a bauble! 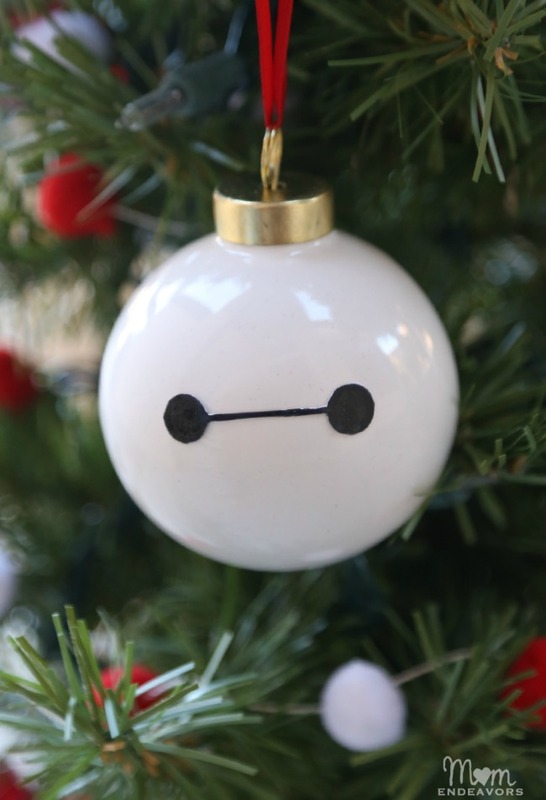 Disney’s Big Hero 6 DIY Baymax Ornament – This Baymax ornament is incredible, and to think it all started with just a white porcelain ornament! Click through to download the template so you get his eyes just right. 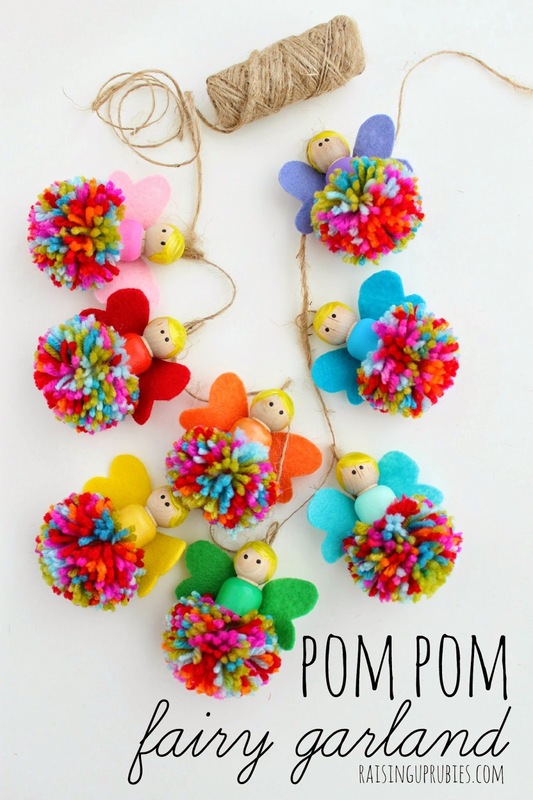 PomPom Fairy Garland – You need to use your imagination a little here because this isn’t actually a Christmas craft. But use shades of gold and green yarn and you have yourself a garland of Tinkerbells. Or lose the wings and use your favourite princess colours to make a garland of Disney princesses! It would look gorgeous hanging from the tree or the mantle piece!